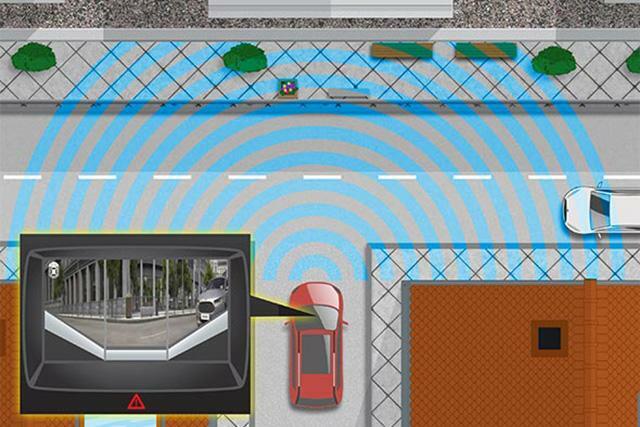 New safety technology: front split-view camera sees around corners to make it easier for motorists to exit junctions. Ford has launched a front spilt-view camera that enables the motorist to more safely emerge from junctions that have a restricted view. Its purpose is to minimise the need to crawl forward, strain for a partial view around (say) a hedge, then emerge without being sure the route is clear. The European Road Safety Observatory SafetyNet Project has suggested that nineteen percent of drivers that have a collision at a junction are impeded by a restricted view. Furthermore, the Department for Transport said that, in 2013, poor external visibility contributed to eleven percent of accidents. This implies the technology could save lives. Ford of Europe Engineer Ronny Hause said: “It’s not just blind junctions that can be stressful, sometimes an overhanging tree or bushes can be the problem. Simply driving off driveways can be a challenge. Much like a rear-view camera, front split-view camera is one of those technologies that people will soon find indispensable”. The camera is mounted to the grille. It measures thirty-three millimetres in diameter, has a one megapixel resolution, and looks to the left and right. Both images are simultaneously presented via an eight-inch colour screen on the dashboard. These could reveal (say) a cyclist, pedestrian or large vehicle. The motorist then waits for the hazard to pass before pulling out with confidence. The camera is activated via a button so does not have to be permanently on. It is cleaned courtesy of a retractable water jet. The Ford Galaxy and S-MAX are available with the front split-view camera (optional). The Ford Edge – that will launch in Europe later in 2015 – will also incorporate this “first in segment” technology.